Mark Ruffalo Claims He Shot Five Endings For Avengers Endgame and Captain America is Married in One of Them! 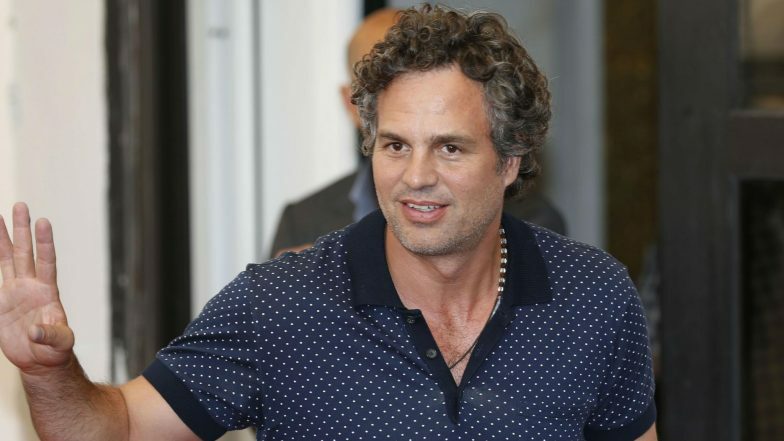 Los Angeles, April 11: Actor Mark Ruffalo says he was forced to film five endings for "Avengers: Endgame" because directors were so worried he would ruin the surprise. During an interview to E! News, Ruffalo, who plays Hulk for the series, said directors Joe and Anthony Russo did not want him to know the ending, reports dailymail.co.uk. "I don't know what's going to happen," Ruffalo said, adding: "I shot, like, five different endings to this movie." The Avengers: Endgame Stars Chris Hemsworth, Mark Ruffalo, Scarlett Johansson Assemble To Retell The Story Of Infinity War For Kids - Watch Video. He continued: "I didn't even get a whole script to this movie. And I don't know why. The script I did get had dummy scenes in it." One of the dummy scenes, Ruffalo said, involved Chris Evan's character Captain America getting married during the movie. Evans, joked during the interview, "Mark's a real liability. They have to throw Mark off the scent." Ruffalo appeared shocked by his co-star calling him a "liability" for the franchise, but Evans would not back down from his statements. "Because you have zero cred," he continued. "You have earned no trust in the Marvel universe. You, like, leak like a bodily function." Leaks in the franchise have come from Ruffalo a number of times, including one time when the actor accidentally live-streamed the first 20 minutes of "Thor: Ragnarok" on Instagram during the movie premiere. He also accidentally spoiled the name of "Avengers: The Endgame" in October 2018 while speaking on "The Tonight Show Starring Jimmy Fallon". The show bleeped the moment when it aired, but it created a hilarious exchange between Ruffalo and Russo Brothers on Twitter. Avengers Endgame: Vijay Sethupathi, Andrea Jeremiah to Lent Their Voices in the Tamil Version of the Marvel Movie. Another spoiler happened when Ruffalo and co-star Don Cheadle were speaking on "Good Morning America" about "Avengers: Infinity War". Star Movies is hosting an 'Avengers Pop Up' on April 20 and 21 on their channel, which will air "Avengers: Infinity War" and "Avengers" before the release of "Avengers: Endgame", which will open on April 26. "Wait until you see this next one," Ruffalo said during the interview. "Everybody dies. Well, half."